Xiaomi's upcoming Mi 7 flagship may support wireless charging. Speculation was high following Xiaomi's enrollment in the Wireless Power Consortium (WPC) in Sept '17 that it's Mi 7 flagship would support wireless charging utilizing the Qi standard. Its expected to feature a glass back which allows wireless charging. 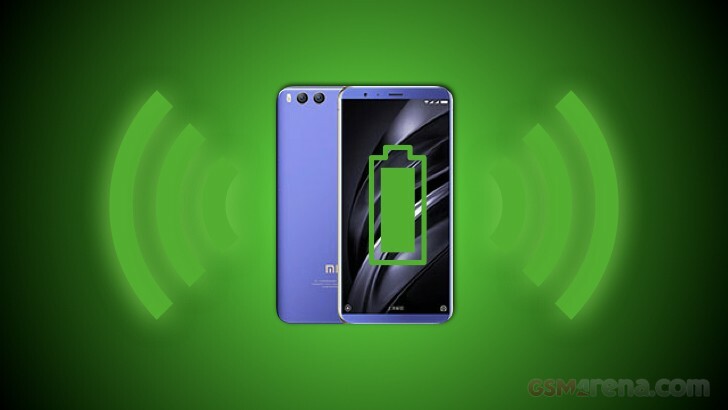 Sources further claim that the Mi 7 will support charging up to 7.5W, identical to Apple's latest iPhones following a firmware update post-launch. Reports suggest that Xiaomi may feature the same Broadcom chip and NXP transmitter as Apple to ensure quality and supply. If proved accurate it's likely that the Mi 7 has adopted the Qi Specification Version 1.1 which supports wireless charging up to 7.5W. Version 1.2 supports 15W for faster charging but results in higher heat generation. Our take is that by topping out at 7.5W allows manufacturers to ensure heat is managed while learning what thermal management needs to be undertaken if/when they adopt the 15W standard. The Xiaomi Mi 7 is expected to feature a Samsung-manufactured 6.01-inch screen with 18:9 aspect ratio, dual 16MP cameras, 6GB or 8GB RAM and will be powered by Snapdragon 845 SoC. Originally predicted to have a rear-mounted fingerprint sensor, another rumor suggests that it may utilize an under-display fingerprint sensor. that is quite an understatement of xiaomi brand. btw, I don't think Google can't add the support, they might feel unnecessary.